BARD1 Life Sciences Limited (ASX:BD1), a biotechnology company developing non-invasive cancer diagnostics, yesterday informed the market it has received positive results from its OC-400 Study that showed BARD1-Ovarian achieved high accuracy for detection of ovarian cancer. The encouraging results included an average AUC (area under the curve) of 0.92 in the training sets, and an average AUC of 0.88, 82 per cent sensitivity and 79 per cent specificity in the test sets. The specific objective of the company’s latest study was to further improve the BARD1 panel and algorithm used in the BARD1-Ovarian, a test which the company hopes will be used for early detection of ovarian cancer. Further, the study assessed the accuracy of the test using the proof-of-concept (POC) method on a panel of 20 peptides (analytes). All in all, the study determined that BARD1-Ovarian accurately detected ovarian cancer and thereby provides BARD1 with further rationale for developing it into a commercial early detection test. It should be noted that BARD1 is in its early stages here and investors should seek professional financial advice if considering this stock for their portfolio. an average AUC of 0.88, 82% sensitivity and 79% specificity in the cross-validation test sets. These findings support what the company determined via previous studies — that BARD1-Ovarian could detect ovarian cancer “with high sensitivity and specificity”. Considering ovarian cancer is the eighth most common cancer and the sixth most common cause of cancer death affecting women in Australia, this is a significant finding, particularly for a small-cap biotech company such as BARD1. In further positive news, the most recent test results were achieved using less analytes, reducing the complexity and cost of the BARD1-Ovarian test — which could bode well for it when compared with the CA125 blood test routinely used as a diagnostic aid for ovarian cancer. The study concluded that BARD1-Ovarian accurately discriminated ovarian cancer from healthy controls using the POC method and a 20-analyte panel, could detect all subtypes and stages of ovarian cancer, and confirmed the potential of the research-grade test to be further developed into a commercial test with expected high sensitivity and specificity for early detection of ovarian cancer. “The positive results achieved in this OC-400 Study confirmed the potential of BARD1-Ovarian to accurately detect ovarian cancer with high sensitivity and specificity,” BARD1 CEO Dr Leearne Hinch said. 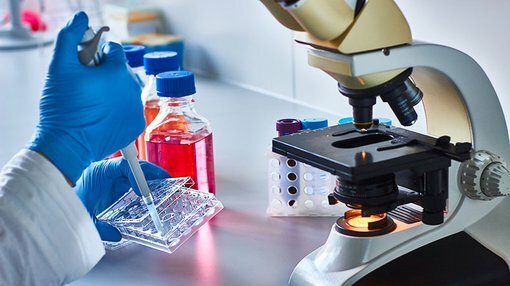 BARD1 intends to advance the development of BARD1-Ovarian, with the potential for outsourcing further assay development to a contract development organisation, in readiness to build it into a commercial test.